In September of 2016, we started our Californian adventure with four days in the incredible city of San Francisco [read our full SF review here]. 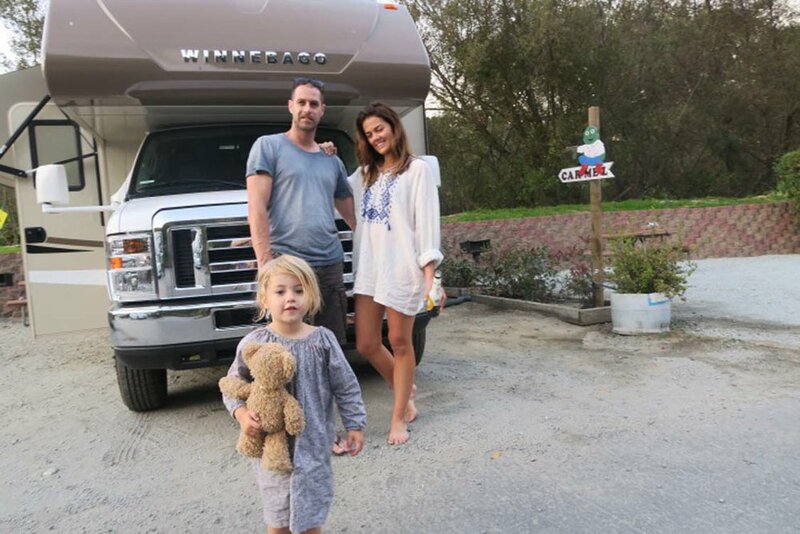 From there, we picked up our 27-foot Apollo RV and started what would become our favourite family holiday to date. We’d initially intended on heading straight from San Francisco into Yosemite Valley - which would have been the best way to go - however even though we booked well in advance, we weren’t able to secure an RV site until a few days post-SF departure [note – if you’re planning on booking a site in Yosemite National Park, make sure you book at least six months out]. As a result, we decided to make our way down the coast for a few nights. 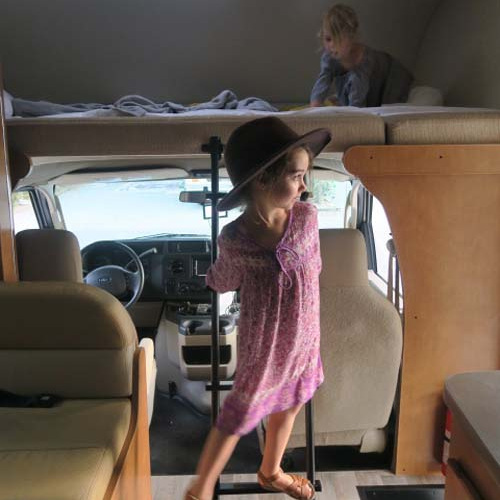 After a few nervous giggles, a run-down on how to change over those delightful grey water tanks and some crazy excitement with the girls [then aged 5 and 3) beside themselves - claiming their beds in our ‘cubby on wheels’, we headed south from San Francisco. After a stop at Wal-Mart for supplies, we decided to check out Santa Cruz and hopefully nab ourselves an RV site there for the night. We soon realised we were happy to just spend a couple of hours in Santa Cruz ; so we soaked in some sea air, strolled along the coastline into the esplanade for an ice cream and to people watch. We realised there was no RV park in town and it soon became dark so we struck gold when we found a little town called Felton, which had one lucky RV site left. The town was a gem and surprisingly served good coffee and had a huge, healthy grocery store. Such a bonus! We were up with the sun to head to Monterey [Big Little Lies] for a stroll and some seal spotting. Then on to Pebble Beach where we did the coastal road/national park which was slower and cost about $15 but had beautiful coastline and lots of deer which the kids loved. My sports-loving husband was pretty happy to see the legendary Pebble Beach Golf Links, too. 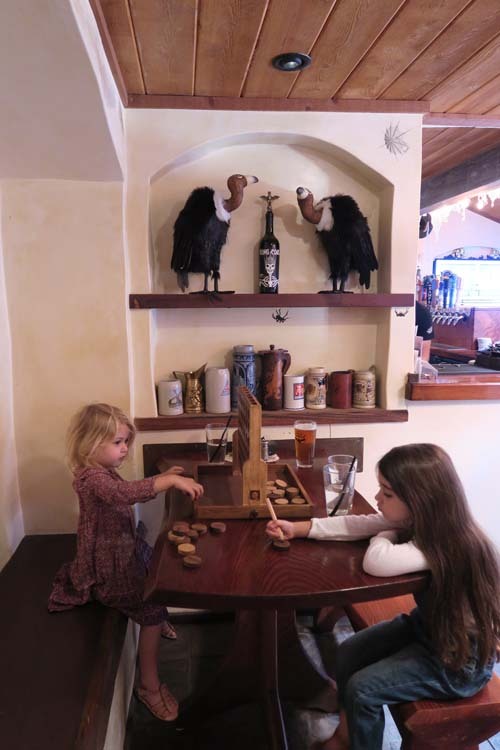 We stayed at Carmel for one night but the RV park there, Carmel by the River RV Park, was average so I would suggest trying one of the other options - Saddle Mountain Ranch looks great - or you could check-in to some accommodation closer to town. The next morning, we headed out to Yosemite National Park for what would be a six-hour drive. It was well worth the drive, as the scenery was out-of-this-world spectacular. 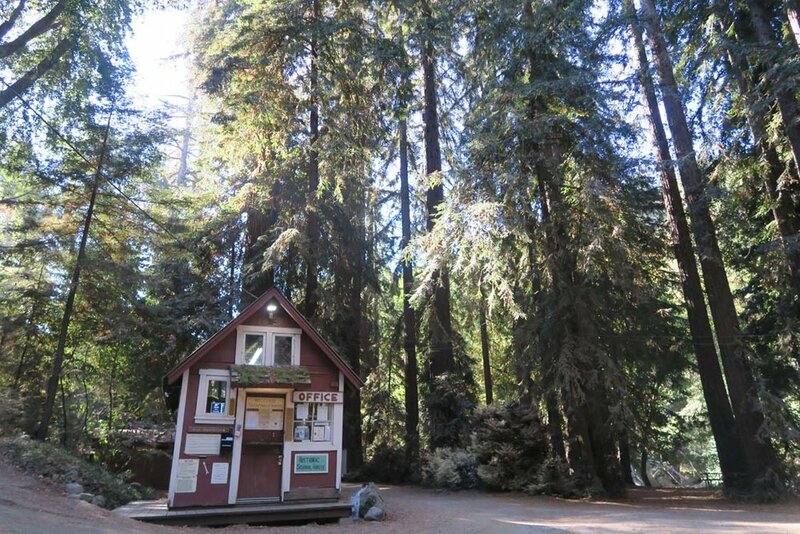 We stayed at Upper Pines Campground, which is situated right in the heart of Yosemite Valley National Park. We were surrounded by sheer granite cliffs, giant sequoia trees, deer, the gentle Merced River and friendly squirrels. 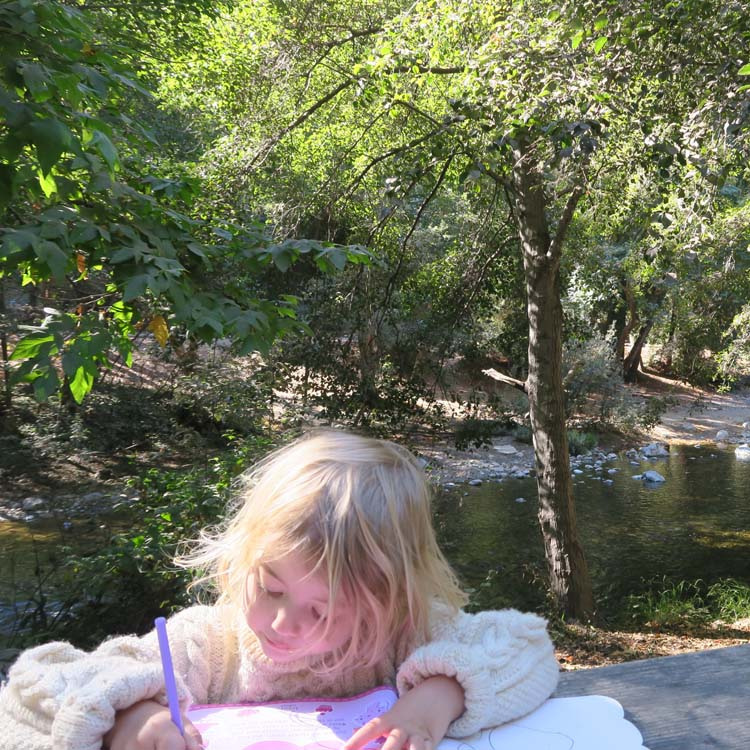 The girls loved wandering the stream, nature walks, the Yosemite Museum, watching deer and keeping their eyes out for bears and mountain lions (we didn’t see any!). We met some hilarious fellow RV travelling neighbours from Amsterdam and Belgium and shared red wine and marshmallows with them around the campfire. After three nights in the beautiful Yosemite Valley, we made the trip back to the coastline, onto Big Sur - which was one of our favourite stays. We stayed at Fernwood RV Park, thanks to a recommendation, and we would definitely recommend it for anyone visiting the area by RV. 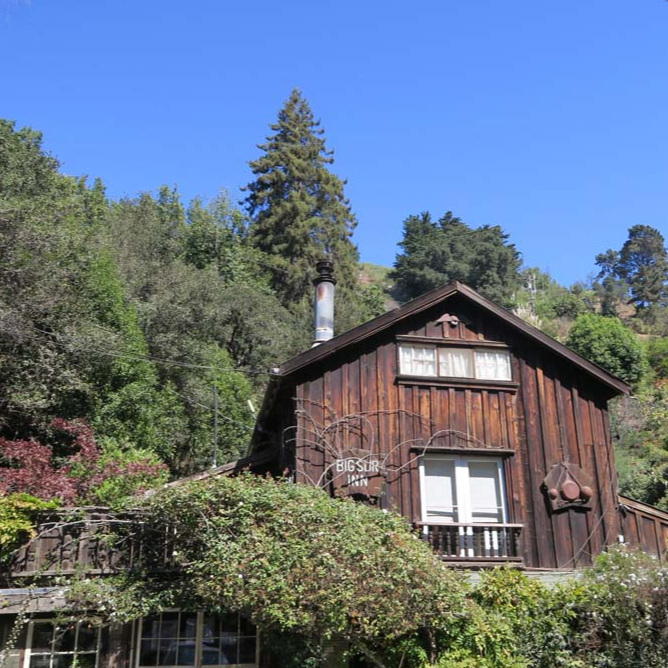 It is surrounded by redwoods and right beside the Big Sur River, which was so peaceful and great for the kids; they would play while we relaxed with a cold beer in the afternoon sun or in the morning with a cuppa and freshly baked muffin from the Big Sur Bakery. We stayed two nights here but could have stayed slightly longer. 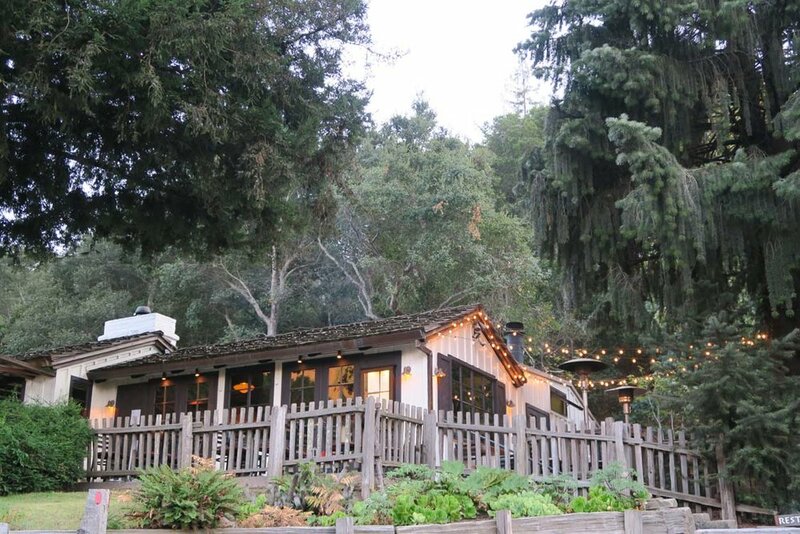 If visiting, head to Big Sur Bakery for delicious pizza and local red wine in a cosy and friendly setting. 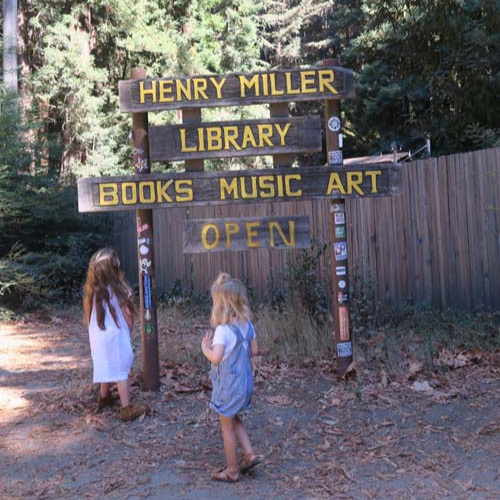 The Henry Miller Library was also great for a wander and to pick up some new books for the girls. 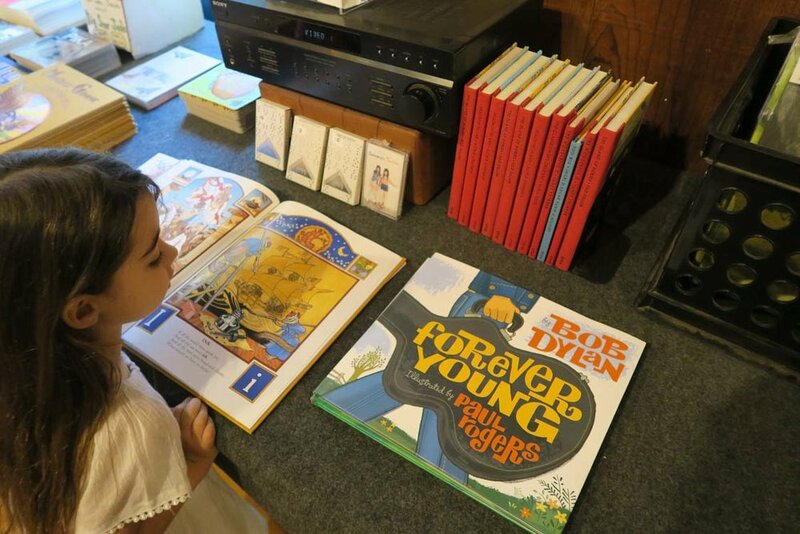 We love collecting a book everywhere we go, so the girls have a special memento from their travels. From there, it was back into the RV and on to San Simeon for a quick look at Hearst Castle on the way. We did the guided tour there and enjoyed it, however we would have preferred to have kept driving and enjoy a stop at another destination as we were limited for time. We had to stay in Morro Bay for the night as it got dark and was really foggy. This town was not a favourite at all. Definitely skip past this one as there were so many places we wanted to stop off and see, if we had more time. This was the only time we bunkered down inside the RV and actually watched a movie! Confession: we’d told the girls the TV was broken the entire trip. 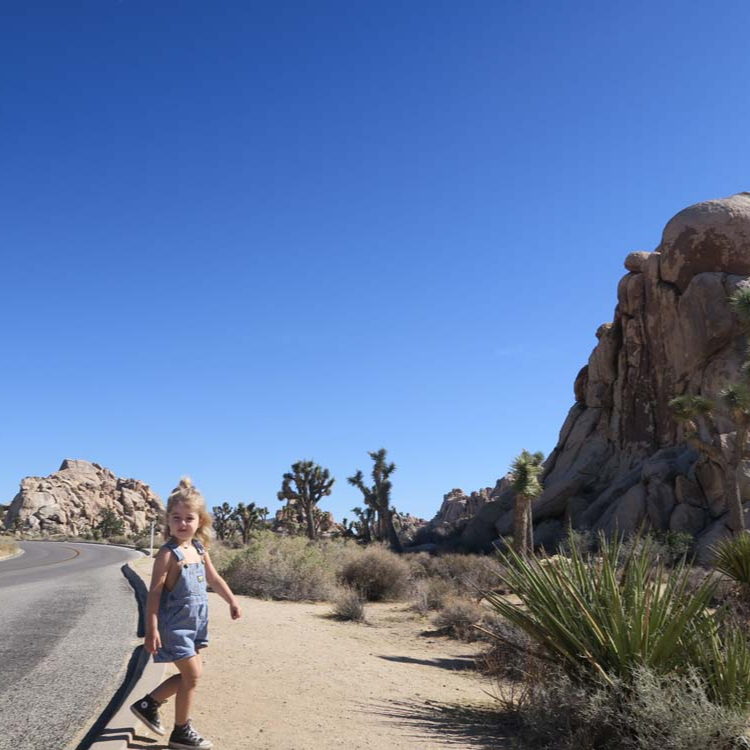 The next morning, we drove through Santa Barbara because it was hard to park the RV and once again time was limited (I was 100 per cent keen for Big Sur, Ojai, Palm Springs and Joshua Tree). We drove through Santa Ynez, which was really cute for a look and had an incredible wooden kids playground. I have also heard Paso Robles is great, however we didn’t get a chance to check it out. 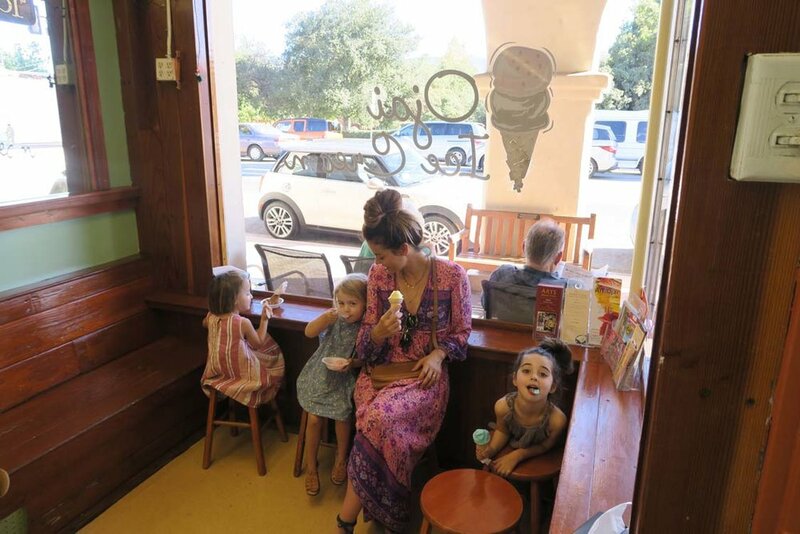 Our next stop was Ojai, which we adored. We stayed at the Camp Comfort RV Park and the manager there was a jolly old chap. It also had a lovely green playground for the kids, which was exciting after lots of time on the road! 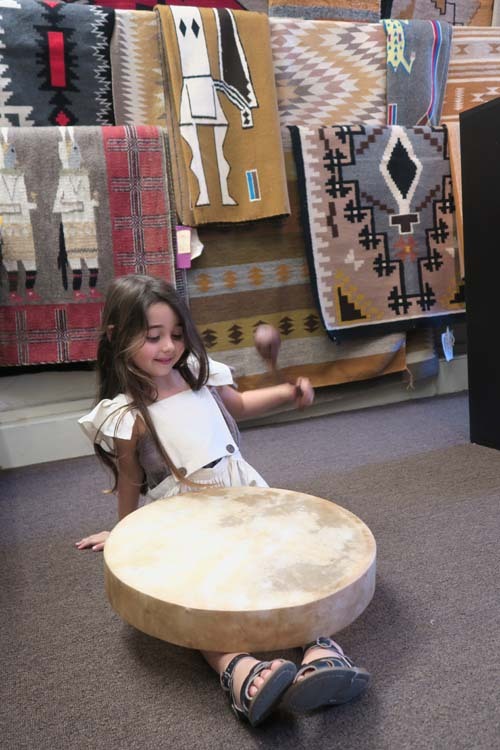 That night, we headed to town to go to the Deer Lodge for dinner – we definitely recommend going here. If you like shopping, there are lots of cute stores in town, too. 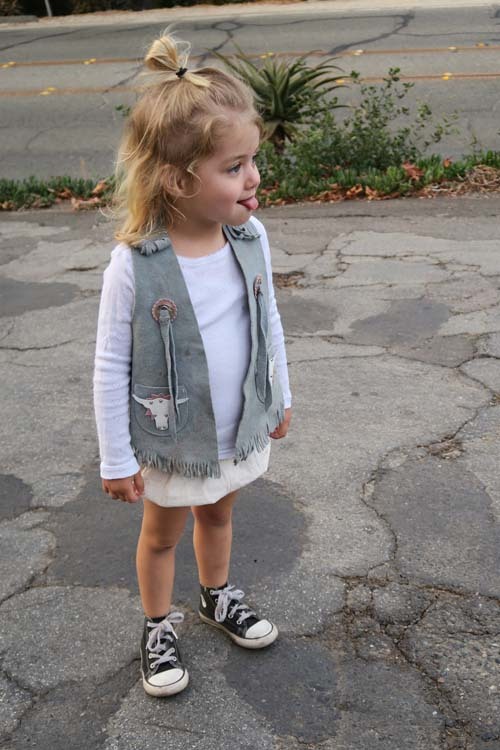 We loved Ojai and would definitely go back to explore more of this charming town. From Ojai, we drove straight to Palm Springs. We stayed at the Happy Traveller RV Park, which was super quiet and had a pool. After a week in an RV during a heat wave, we were so excited about this pool, let me tell you! 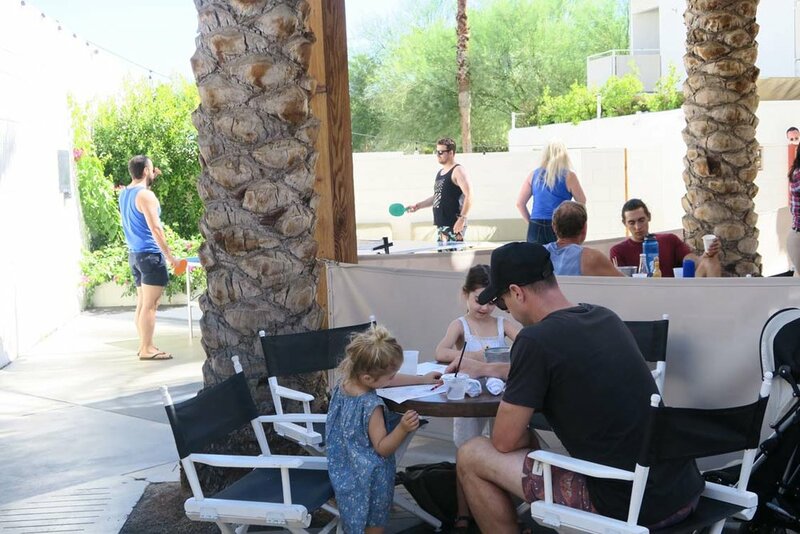 The park was close to everything (including the iconic Ace Hotel and Swim Club) and had The Palm Springs BUZZ – a free trolley service which travels up the main strip to help you get around town - close by. This service was such a nice surprise, especially when travelling with kids in the heat. We enjoyed an afternoon at the Ace for lunch, where we indulged in watermelon margaritas and some people watching. We drove around checking out the incredible architecture and enjoyed the Moorten Botanical Gardens – a cacti lover’s paradise. It was pretty amazing to finally get a decent coffee at King’s Highway at the Ace, too. Then it was on to Joshua Tree National Park, by far my favourite! On the way, we stopped off at some pretty cool vintage stores in town. Driving through the park was such a surreal and spiritual experience and, despite all of the hype, we barely saw another soul. 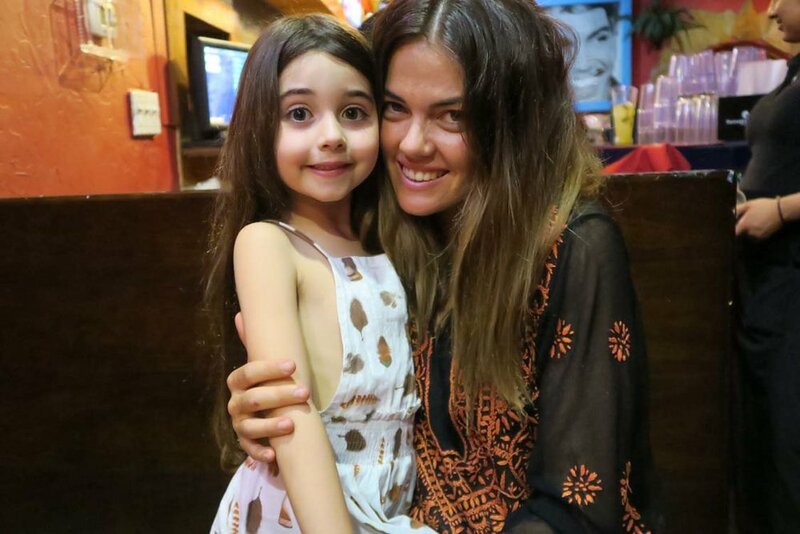 We had been told to swing by Pappy and Harriet's at Pioneertown for dinner and live music. This was a great tip; it was awesome! This place is an institution with incredible musicians often popping in to play surprise gigs [we found out that a week or so after we got home, Paul McCartney had played there]. With no plans for accommodation and nothing in sight (or on the GPS), the caretaker at Pappy and Harriet’s let us park our RV around the back of the bar for the night for $20. So it was just us and our RV out amongst the Joshua Trees under the stars that night. Magic. We left in the dark the next morning to make our way to Las Vegas, which was the final leg of our RV trip. We watched the sun come up over the desert as we drove, which was something special indeed. We spent two nights in Las Vegas at The Mirage where we pretty much swam in the pool and people watched – quite entertaining with two kids under five. We checked out allllllll the BIG things and decided it was probably somewhere we would be quite happy to see only once (with kids anyway!). From Vegas, it was a flight to LA for two nights in Anaheim, with a two-day pass to Disneyland. This was undoubtedly one of those pinch yourself moments (and we repeatedly told our kids just how lucky they were to be there!). Then it was time for four nights in an AirBnB in Santa Monica where we did the touristy things like ride bikes into Venice for the day, watch the locals at the famous skate bowl, shop Abbot Kinney Boulevard and catch a red bus around Hollywood. A highlight was definitely pizzas at Gjelina in Venice; their Guanciale was the best pizza we’ve eaten. We capped off our incredible trip to California with two nights at Laguna Beach, at a super cute hotel called Laguna Beach House. The décor was cool, the pool was well enjoyed by our little family and they served warm milk and cookies in the lobby every afternoon (happy kids, happy husband!). We followed this dream trip with four nights on the Hawaiian island of Kauai (where we stayed in a cottage in Hanalei Bay) and four nights at the Royal Hawaiian on the island of Oahu. We absolutely loved this holiday and would highly recommend it for any family. If you have any questions about our trip, feel free to email us or send us a DM via our Instagram anytime.